Improve Your Penny Stocks Awareness of the Web! We specialize in designing penny stock research sites, stock awareness campaigns and investor relations website. So, whether you're looking to create your own penny stock investment presence online or want to get the word out on a new investment opportunity. Port80Media has the expertise to get the job done. Keep an eye on the stock market with this easy to navigte stock market watch site. 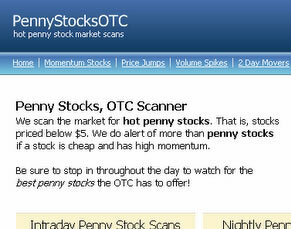 Penny Stocks OTC is a free penny stocks market scanner. The purpose of the site is to compile nightly scans of the OTC stock market to find the penny stocks that are exhibiting the most bullish qualities. 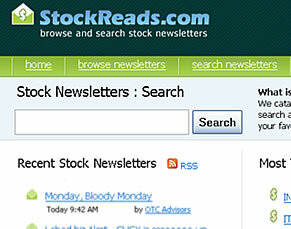 Stock Reads is a penny stock newsletter archiving and search service. Its purpose is to allow investors to easily search for recently published stock newsletters to find out about upcoming investment opportunities.